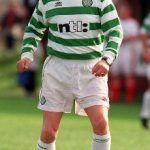 Have a go at this quiz and see what you can remember over the years and at the end discover what kind of Celtic fan you really are. Answer yes or no to the following questions and count the number of yes’s at the end of it. CAN YOU REMEMBER ANY OF THE FOLLOWING………..? 1. When you were a boy you had free entry to any stadium in Scotland by asking a stranger – ‘Gonnae geez a lift in big man’. You did not pay in to a football game until the age of 17 and as you got older you would shave on a Saturday to look younger to avoid doing so in order to gain admission in the boys’ gate for half price. 2. When travelling to a game on a supporters’ bus you were allowed to travel for free to encourage the future generation of Celtic fans. This supporters’ bus was a London Route master type of double decker with rear entry (where the committee would stand, perilously grabbing hold of the pole as the bus turned a sharp corner) and no doors. Great for air conditioning on sunny days but freezing cold in the winter. 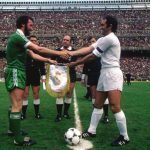 On the bus you can remember the ‘sweep’, a lucky draw which had each player listed home (us) and away (opponents) from 1 to 11. The feeling of euphoria when you picked out any home player from the Celtic forward line from number 7 to 11 had to be experienced to be believed (knowing you had a great chance of winning) and that was only surpassed by winning the damned thing and travelling home weighed down with the princely sum of £1 (a fair sum back then) prize money jingling in your pocket in 5p pieces. 3. Entering the ground by the Rangers end at Parkhead and at half time being able to walk through the Jungle to watch the second half in the Celtic end in the full knowledge that Celtic always shoot into the Celtic end in the second half. The choice of walking through the jungle was a perilous one. Pass through the tunnel underneath and it was two steps forward one step back in the crush. Pass through the bottom of the terracing and wade through 3 inches of urine which came cascading down from the very back. Some choice. 4. The hush at half time when the half time results were read out particularly waiting for the Huns’ score and the enormous roar that went up when their opponents were winning. This would lead to huge roar when the Celts took the field for the second half. Yes folks, in those days Celtic and Rangers played on the same day (Saturday) and at 3 o’clock when football should be played. Curiously enough another huge roar of the day would be when Liverpool were losing after the departure of Dalglish to Anfield in 1977. 6. The wee blue coloured ‘bubble cars’ that disabled people travelled in and would park behind the Rangers end to watch the match. 7. The bridge over the London Road, just next to the car park, which was demolished in 1983. For generations Celtic fans had huddled under there to shelter from the elements and for generations hordes of Huns had clambered on top of it to reap havoc after another heavy defeat. 8, Watching the viddy printer on Grandstand on a Saturday as the final results rolled in. The feeling of impending doom when …Hearts 3…..was printed on only for the eruption of euphoria as it was followed by ……Celtic 4, announced by a smiling Frank Bough. 9. Listening to David Francey’s commentary on a Saturday afternoon on Radio Scotland and hearing his dulcet tones describe Rangers as ‘Rrrrangerrrs’. 10. Groups of clergy, not all Catholic priests by any means, grouped together outside the main stand on match days as the clergy were allowed free admission to Parkhead in those days and looking to see if you could spot your Parish Priest amongst them. 11. The site of fans struggling in through the turnstiles with Agnews or Haddows bags with 24 cans of pale ale in them to drink their ‘kerry-oot’ during the course of the match. This involved seriously inebriated fans consuming even more alcohol and then having the audacity to all and sundry that they had been to the game although they couldn’t remember one detail of it. Also, discovering why men brought newspapers to the match which was ultimately responsible for the small lake of urine running along the bottom steps of the Jungle (see 3). 12. Listening to the 9.55 evening sports desk on BBC Radio 2 for the results of midweek games. 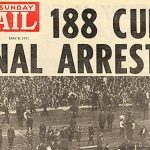 The disappointment of hearing ‘Kilmarnock 1 Celtic 0’ in the BBC newsreader’s finest English accent is indelibly stamped in my memory after the Scottish cup defeat of 1978. None of your teletext, internet or mobile phones nonsense in these days. 13. When super scoreboard on Radio Clyde (261 on the medium wave) wasn’t so super. Initially hosted in the mid 70’s by Bob Crampsey and Richard Park (nicknamed Ibrox Park by Jock Stein), this show played more pop hits than gave football updates. Old Bob became more uncomfortable with each passing week and eventually sloped of to Radio Scotland, to be replaced by the irreplaceable Jimmy Sanderson. 14. The ubiquitous habit of bottle throwing. The inebriated fan (see 11) who was unhappy with his team’s performance would lob his whisky/vodka/wine (delete as appropriate) bottle at the referee only to realise that an Olympic discuss thrower couldn’t reach that far and watch as the bottle landed around the small boys huddled in fear at the bottom of the terracing. 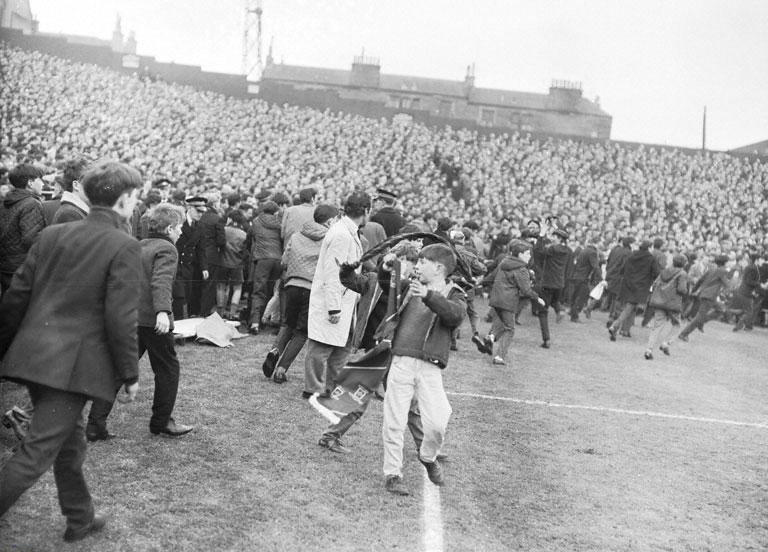 A favourite pastime of Rangers fans in particular between the years of 1965 and 1974. 15. The sight of the food vendors walking along the terraces at Parkhead. ‘Erzi macaroon ‘n the speermint chewing guuuuum !’ If you think the Celtic catering is bad now…………..
16. Buying a programme for 5 pence or as it was known then 5 new pee. At European home games the programme is now £5, so much for inflation and the credit crunch. 18. The furore caused by Celtic accepting shirt advertising for the first time in 1984. The sad sight of the world famous green and white hoops now prostituted by a horrible big ‘CR SMITH’ patch on the front of the jersey. 19. Collecting bubble gum cards in the 60’s and 70’s. 5 cards for 2 pence and a bit of bubble gum so hard it cracked the teeth of children all over Scotland. One Jinky or Kenny card was worth 10 of any other. ‘Got it, got it, need it’ and being able to spot potential gamblers of the future as they threw cards against a wall to see who could get nearest. Winner took both cards. 20. 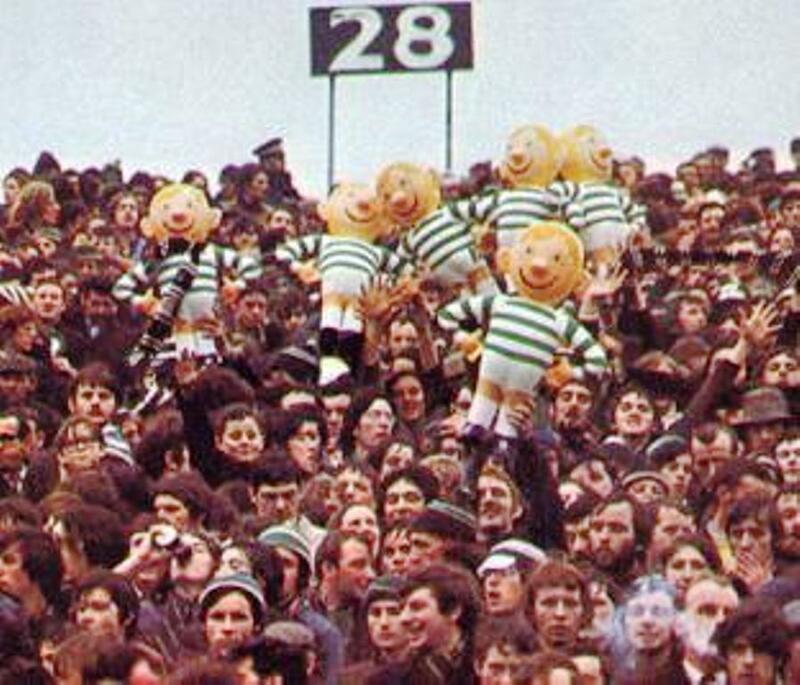 The Celtic boot boys of the 1970’s. The hooligan fore runners of the casuals, their outfit consisted of outrageously flared denim trousers, tartan patterned jersey a la Bay City Rollers style, doc martin boots, an Irish tricolour draped around the neck to flow from the back like a cape and a Celtic scarf around each wrist. Don’t mess ! Now you’ve done the test then compare your score with the table below to see what category of Celtic fan you are in. How many did you answer yes to ? 15-20 – The ‘Eldorado’ generation. You are probably one of those old guys in the main stand that shakes their head no matter how well the team are playing and compares (unfavourably) every centre half with Billy, every winger with Jinky and every forward with Kenny. No matter how successful Celtic are, nothing (in your opinion), will compare with the Jock Stein era. You still pine for the good old days when you could take a half bottle into ‘the gemme’. In your mind you do not believe that any of the Lisbon Lions ever, ever had a bad game and believe that playing one man up front is a satanic concept. 5-15 – The ‘Internet’ generation. You are still scarred from the dark days of the early 90’s era and it is likely you became a shareholder in the mid 90’s. You might have campaigned to get rid of the old board and are fairly satisfied with the outcome. You probably booed Fergus McCann when he was there but in hindsight are now likely to write to the Vatican asking for his beatification. When things go wrong you cannot wait to access the forums on the internet to vent your spleen and are sad enough to use the aforementioned forums as your own personal problem page for any troubles in your life. 0-5 – The ‘New Balance’ generation. Oh dear. You don’t remember anything from the pre-Larsson days, lucky old you. You laugh when your Dad tells you of the bad old times and cannot comprehend how Celtic could ever play in front of crowds of 20,000 or less in a stadium that was not all seated. You are the type who will queue up at midnight to buy a new jersey on the opening date when the club launches a new kit. You have only ever been to a handful of away games in your life and cannot remember when a Celtic away game was not shown live on one TV station or another. You buy the Celtic View faithfully each week and laugh at the recollection of it as a 6 page newspaper. 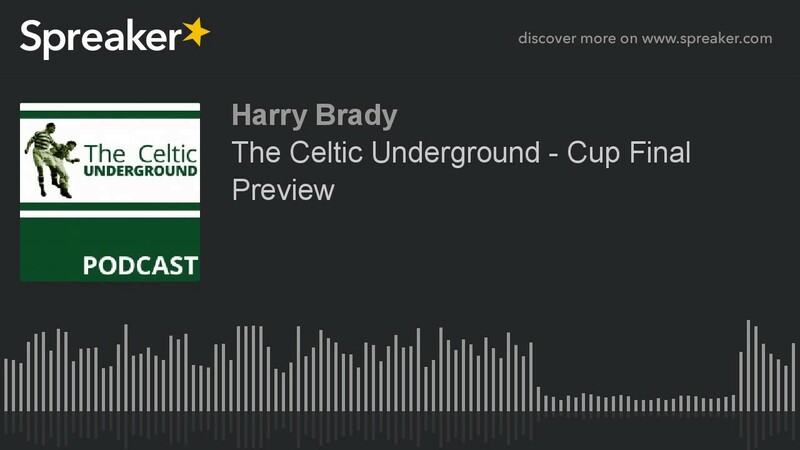 PreviousCeltic Underground – Fabulous Five? Individual Sensations! NextSKY – Intentionality Demeaning Our Game?